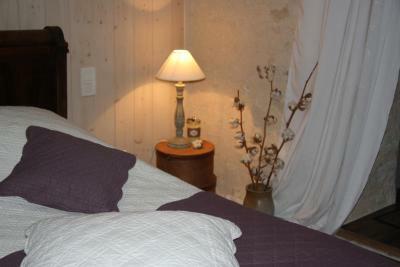 Lock in a great price for Chez Jumaine – rated 9.6 by recent guests! Pascale and Herve are the perfect hosts. They welcomed us from start to finish and made our stay a complete pleasure. We would recommend them and their facilities to anyone. Lovely property, very comfortable. Hosts very welcoming and helpful. Breakfast was absolutely wonderful - fresh, homemade jams and yoghurt, lovely pastries . Easy to find - well signposted and map reference accurate. Beds very comfortable. 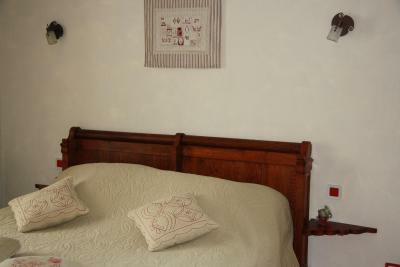 Very friendly welcome, beautifully furnished room, delicious breakfast included with homemade and local produce. A charming B&B, friendly and helpful owner. Close to La Rochefoucauld. Highly recommended. Die Besitzer sind sehr nett und hilfsbereit. Das Apartment ist für 2-3 Personen völlig ausreichend groß und hat sehr bequeme Betten. Es liegt an einem Waldweg, ist aber super mit dem Auto zu erreichen. Das Frühstück wird extra von den beiden Besitzern vorbereitet inkl. selbst gemachter Marmelade und Waffeln. Es war wirklich köstlich. Vielen Dank noch mal für Alles! Très bon accueil dans un cadre agréable. Le petit déjeuner est copieux et diversifié. Literie de rêve dans une chambre spacieuse très calme à la campagne. Wifi performant. Parking fermé la nuit. Petit déjeuner somptueux et varié. Très bon accueil et propreté irréprochable, merci pour votre accueil. Die Gastgeber waren sehr sympatisch ! Das Zimmer und das Frühstück waren super ! Petit déjeuner, confort des chambres, propreté, sympathie. 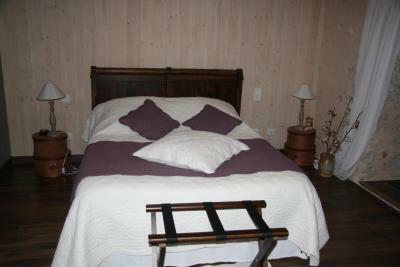 Located in Saint-Projet-Saint-Constant, Chez Jumaine has accommodations with free WiFi. The bed and breakfast has a seasonal outdoor pool. Angoulême is 13 miles from Chez Jumaine. The nearest airport is Bellegarde Airport, 49 miles from the property. This property also has one of the top-rated locations in Saint-Projet-Saint-Constant! Guests are happier about it compared to other properties in the area. 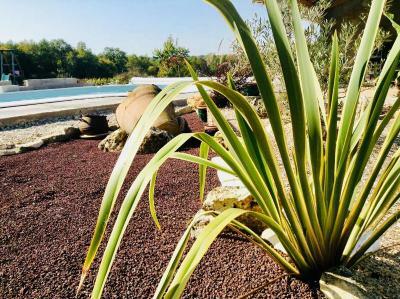 This property is also rated for the best value in Saint-Projet-Saint-Constant! Guests are getting more for their money when compared to other properties in this city. 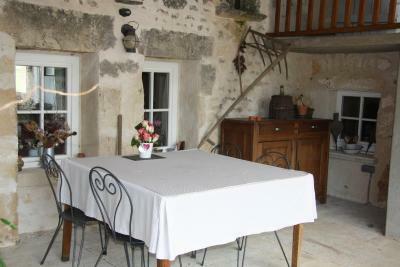 When would you like to stay at Chez Jumaine? This triple room features air conditioning, tea/coffee maker and private entrance. 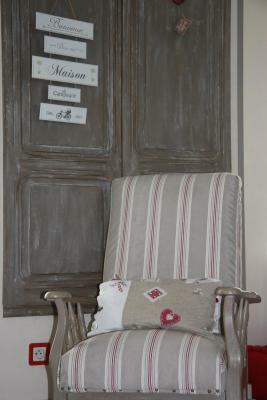 House Rules Chez Jumaine takes special requests – add in the next step!